Filling out the FAFSA application can be challenging to understand, let alone complete. We get that. Our goal is to break down the FAFSA, question by question. We'll clarify why each question is asked, and how to best answer each one accurately. 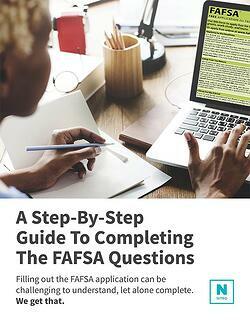 This guide will walk you through the why and how of the questions on FAFSA. If you are having trouble, email us at support@nitrocollege.com and we will try to address as many questions as possible or answer it in a future blog post. If you do have questions, you should consult a financial or legal professional. Or if you have specific FAFSA questions, FAFSA provides a support line (800-433-3243). The TDD number for hearing-impaired individuals is 1-800-730-8913. For those who will be filling out the FAFSA via the online application, click here for our online guide. The FAFSA (Free Application for Federal Student Aid) is a necessary requirement for all students seeking Federal and State financial aid for higher education in the United States. This application determines how much financial aid a student is eligible to receive from the government based on need, and often, students are required to fill out the FAFSA when applying for private scholarships and grants. Please note: The information obtained throughout the Nitro College site is intended to be used for educational purposes only. We recommend consulting a licensed financial professional before making any financial decisions. Nitro College is not endorsed or affiliated with the U.S. Department of Education. Want The Answers To Every FAFSA Question? 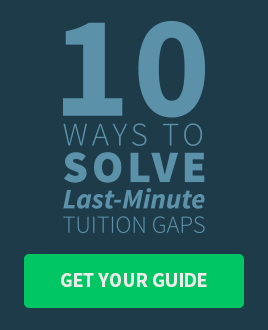 Here's A Step-By-Step Guide From Our Financial Aid Expert!